This very elegant elongated balaster shaped necked vase was made by Michael Hunter for Twists Glass in 2010. 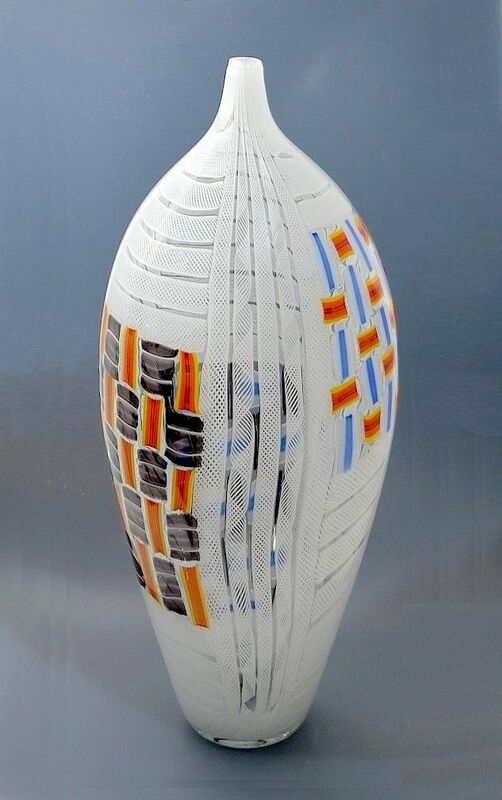 It uses zanfirico and tessera cane techniques in white blue yellow orange and black laid out in a patchwork pattern. Signed "M Hunter Twists 10 White Zanfirico" and with the Twists Glass Studio label it is another of Mike's unique pieces.